The story of the friendship between Daniel Kahneman and Amos Tversky is the story of how our minds lead us to make mistakes. 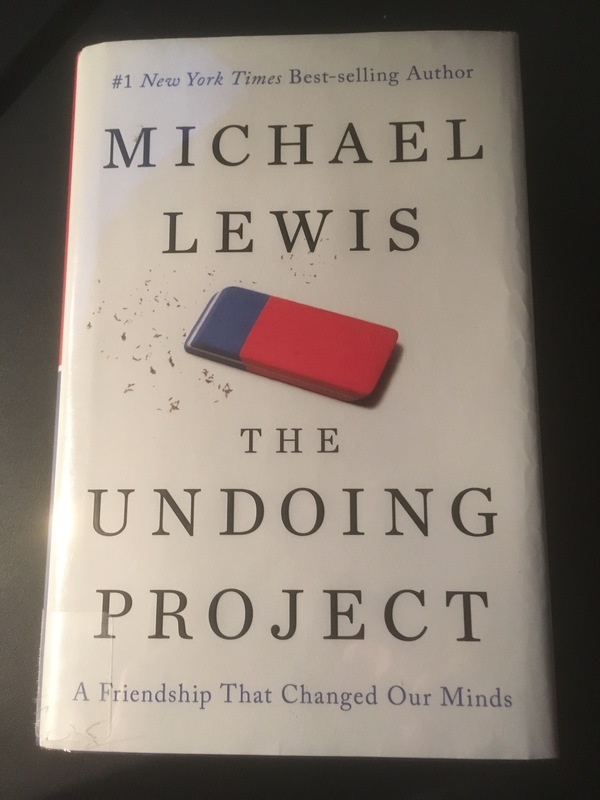 The Undoing Project: A friendship That Changed Our Minds by Michael Lewis focuses on the relationship between two extraordinary psychologists. However, in telling the story of that relationship, Lewis educates the reader about behavioural economics, discipline that arose out of the work of Kahneman and Tversky. With this beginning, Lewis tells the story of Tversky and Kahneman and their friendship – and the tale is compelling. Most people would find that they cannot stop reading. Two clever men, both Israeli, with very different personalities are intellectually attracted and out of their collaboration they make discoveries about how we think that will ultimately change how we think. Those of us who practice medicine are certainly aware of Kahneman’s and Tversky’s work. Their work, as extrapolated in to medicine by Dr. Don Redelmeier, working with Tversky. They examined how errors in medical judgment occurred, and particularly in the case of expert physicians who sometimes ignored the data in favour of their own intuition. Most often, in these cases, the doctor will be wrong. This important work has helped physicians to check their thinking, to confirm that they are basing decisions on facts and not impressions. Because Lewis uses the history of a friendship to help describe important discoveries about how we think, I found that I learned about Tversky’s and Kahneman’s work without having to think about it. I think most readers would have the same experience.